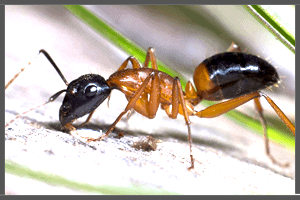 Ants are social insects that are easily identified by their distinctive node-like bodies and elbowed antennae. There are currently about 3000 species of ants known to live in Australia. Generally they live in permanently nests, and colony sizes can vary enormously. They usually build their nests amongst rocks, or in soil or in wood. In relation to their feeding habits, ants may be scavengers, or predators, and can vary their diet to suit the available local food supply. As a group, ants are considered by many to be among the most successful of all insects. Because they are so commonly seen, ants are familiar to most people living in Australia. They can be commonly observed crawling along foundations and in walls, kitchens, roof voids, lawns and gardens, along rocks and in the wood of decaying trees. Bed Bugs are tiny, parasitic insects that survive by drinking blood. Their name is derived from their preferred habitat of warm places, especially in and around mattresses and sleeping areas. Bed bugs are most active during the night-time, however they can also sometimes feed during the day and usually feast without being noticed by their host. Bed bug bites generally lead to quite prominent blistering on the victims skin. Victims of these bites can suffer a number of adverse health effects including swelling and skin rashes, psychological effects and allergic symptoms. 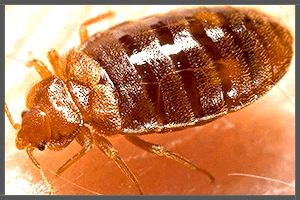 Should you find an infestation of bed bugs in any location it is imperative that steps are taken to destroy the colony or it may be spread to other areas via furniture, clothing or backpacks etc. Bees are flying insects best knows for their ability to produce honey. 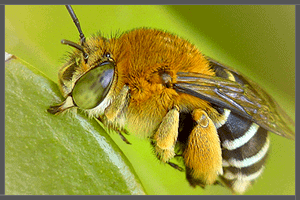 They also play a pivotal role in the pollination of plants and the manufacture of beeswax. Bees are commonly found all around Australia, although their numbers have been dropping dramatically over the past decade, thought to be due to the increasing use of pesticides around regions where they feed, and electromagnetic signals from cell phone towers and wi-fi interfering with their homing capabilities. Beehives are generally built in crevices in nature, holes in hollow tress etc., however it is not uncommon for bees to take up residence in gaps in house roofs or inside gaps in walls. Should you locate a beehive in order to relocate it safely it is always best too call on a well trained protection who will be able to move the bees without harming them or having anyone in the area attacked by the aggravated residents of the hive. 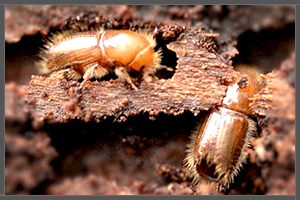 Wood Borers or Timber Borers. Borers, also known as Woodboring beetles, is the collective term given to the various beetle species who consume wood as the main part of their diet. Most of the time borers live on dying or dead trees. For this reason they are an important part of the ecosystem, aiding in the breakdown of weaker trees and allowing new growth to occur. While these beetles are fantastic in forest systems to help with the decomposition of rotting wood, when they get into your home it’s another story. There are around 300 different species of woodboring beetles in domestic woodwork, but only 7 of these are commonly found. Many will only feed on living wood, so sometimes the beetles can be found present in timber after a recent construction, but the timber may not be in trouble of being eaten apart. Should you notice holes in your timber or suspect an infestation of these pests it would be best to consult a professional entomologist before contacting an exterminator to determine the extent of your problem. The Australian Variegated Carpet Beetle. Carpet Beetles are widely known for the damage they can cause to a variety of materials of animal origin. 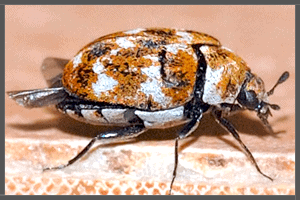 There are a number of species active in Australia, however only two of these, the black carpet beetle and the variegated carpet beetle are commonly found causing problems in local homes. Carpet beetles larvae like to feed on or in wool, fur, hair, silk, clothes, fabrics, carpets, rugs, insulation, animal carcasses, bee and wasp nests, and in stored food. An infestation of carpet beetles can be devastating to a property so it is important that an extremely thorough inspection be carried out to ensure no feeding areas are missed. Adult carpet beetles do not pose a problem, it is only during the larval stages that these insects are destructive to the aforementioned list of materials. The Australian cockroach is a large species of cockroach that, despite its name, originated in Asia. The species can now be found all throughout the globe due to traveling via ships and the increase of commerce between locations around the world. They thrive in wet, tropical areas, and prefer warmer climates as they are not especially tolerant to the cold. They are able to survive in cooler areas however as long as they remain indoors, sheltered from the harsh climate. Like all cockroaches species, they are scavengers and survive on a wide array of plants and other organic matter. Because Australian roached often eat rotting garbage, they can spread a number of diseases to humans including gastroenteritis and salmonella. Some studies suggest that cockroaches can also cause allergies. 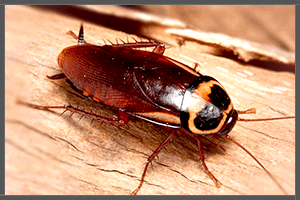 A roach infestation can be treated through a combination of insecticide and good hygiene practices. Grasshoppers, locusts, and crickets all belong to a group of insects known as orthopterans which mean ‘straight wings’. Many Australians will be familiar with the sounds of crickets chirping at night, as they call out to other crickets in the vicinity. All crickets are nocturnal. The chirping is usually performed by male crickets in an attempt to attract females and deter competing males from coming too close. While there are over 900 species of crickets globally, none of them are harmful to humans. Crickets are scavengers who feed on organic material, decaying plant material, fungi, and some small plants etc. They are omnivorous and will eat their own dead when there are no other sources of food available. 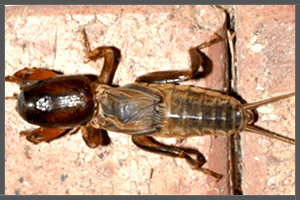 They also exhibit predatorial behavior towards weak or crippled crickets. Crickets are generally considered more of a nuisance than a real pest, so they are not often targeted for extermination. 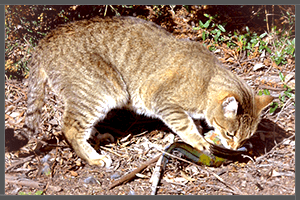 Feral cats can be a big problem in Australia because they maim and kill native wildlife. Originating from the domestic house cat, feral cats are cats that have been abandoned by or run away from their owners and who live life without proper shelter without a master. Because they are not housed or looked after, feral cats can often carry diseases. Another problem with feral cats if they are not neutered is that they will often breed with other cats, often domesticated one, giving birth to kitten who grow up without a home (if the mother is a stray). Feral cats are generally quite diligent at sourcing their own food, via scavenging or hunting, however they can be a problem because they often prey on native fauna some of which may be endangered species. If you have a problem with feral cats, a local pest control company may be able to help you set some traps to catch them. Once caught a local pound may be able to take care of them or even find them a safe, new home. Fleas are wingless insects with a mouth evolved for piercing skin and sucking blood. They are an external parasite with over 2000 species in existence across the globe. Fleas are a common problem on domesticated pets and farm animals, but can also thrive on human blood. They feed on a large variety of warm-blooded hosts including cats, dogs, chickens, rabbits, squirrels, ferrets, rats, mice, and of course, humans.. Their bites irritate their host, leaving an itchy red swelling that can persist for several weeks. Their bites cause a swelling not dissimilar to mosquito bites, and on some animals they can lead to hair loss as a result of frequent scratching and biting, and have even been known to cause anemia in some extreme cases. 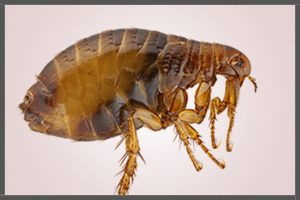 Fleas are a common problem in many Australian households and if you are plagued by fleas you need to get in touch with a pest controller as soon as possible to stop the spreading infestation. Flies are common pests found all around Australia, especially in hotter, drier regions. Flies have short, streamlined bodies and are well adapted for flight. They use their wings to maneuver through the air and are extremely agile. Most species of flies have large (in relation to their body size), compound eyes on either side of their head, and all species of flies contain a set of motion-sensitive neurons which are necessary to help them control their movements while in flight. Flies are not capable of eating solid foods, and consume only tiny granulated foods or liquids e.g. pollen. Flies can not only be an annoyance when buzzing around, they also lay their eggs in suitable areas near food supplies which hatch into hundreds of maggots. For these reasons it is best to keep flies away by not leaving out food scraps or other attractants. Lawn Grubs or Lawn Worms. Pests such as beetles, worms, crickets, ants and other root-feeding grubs can thrive in your lawn and damage them. 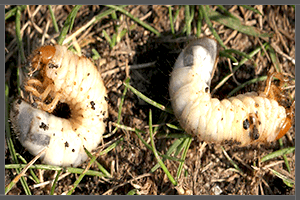 Grubs are larvae of various common lawn beetles. They burrow into the soil and feed on the roots of grasses, leaving brown, ugly patches in your lawn. If you see too many birds frequenting your lawn, it may be because your lawn has been infested with bugs and grubs, on which the birds feed on. Knowing the type of pests attacking your lawn will allow for a more efficient and faster lawn treatment. Mice have been accidentally introduced to Australia when the first European settlers unloaded cargo in Sydney Cove. They have since spread throughout the country and have been a problem ever since. Mice multiply quickly and their gnawing habit can do significant damage to houses and business furniture, and in some cases, they cause house fires after chewing through electrical wirings. They are also notorious disease carriers, contaminating food through the feces and urine trail they leave behind. Some of the commons signs of mice infestation include: droppings along walls, cupboards or under sinks, grease marks or smudges on floors and walls, scratching noise under floorboards or in basement and lofts, and strong urine smell. If you see any of these signs, get professional help right away before the infestation worsen. 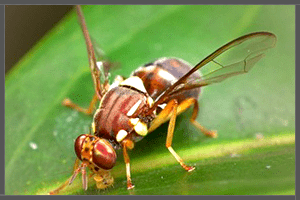 Biting midges, also known as sand flies, are common along coastal areas of southeast Queensland. They are most active between the months of September and April. Midges are drawn to human habitation and can be commonly seen resting on fences, house walls, screens and vegetations. Although midges are not known to spread diseases, their bites can cause severe itching that can last a long time, which can result to open sores caused by prolonged scratching. In severe cases, the open sores can be infected and too itchy that they disturb sleep. There’s no effective treatment and control process for midges yet and the best recommended preventive measures include keeping residences from being built close to breeding sites, wearing of protective clothing, and applying insect repellents whenever going to outdoors. There are short-term insecticide control treatments but they need to be done repeatedly. Mosquitoes are widespread throughout Australia, and in most parts, the main mosquito season happens during the warmer months. Mosquito species differ in their breeding habits, flight range, biting behaviour and preferences. 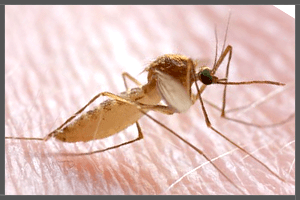 Both male and female mosquitoes feed on nectar and plant juices, but only female mosquitoes bite, requiring a blood meal just before they lay their eggs. Mosquitoes usually spike in numbers after a period of heavy rains. 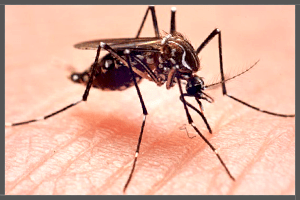 Aside from their itchy bites, some mosquito species carry a lot of serious and fatal diseases such as Ross fever, Dengue Fever, Barmah Forest disease, and Murray Valley encephalitis. Mosquito infestation control and treatment is important to protect your family from these diseases. 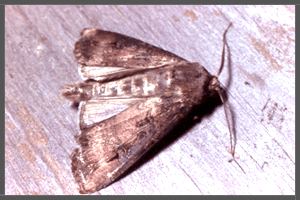 Moth is a common household pest that thrive in cool, dark and damp places such as cupboards and wardrobes. In Australia, two species of clothes moths exist: the common clothes moth and the case-bearing ones. The physical difference between the two? The larvae of case bearing clothes moths have a protective silk case; they live in the case while feeding. Female adult moths can lay up to 150 eggs on clothing surfaces and the eggs attach to the fabric and hatch after five days. The larvae can moult up to 45 times and it is at this stage when most of the damage to the fabric happen. The larvae move away from the food source and find new spaces to live when they’re just about ready to pupate. Moths on pantries and cupboards are also a huge home problem. These pests are capable of destroying an entire cupboard of dry foods in a matter of weeks. Even when the foods are replaced, a new cycle of infestation can occur from cocoons spun in crevices and peg holes of cupboards and pantries. If you find damaged clothing and foods, attempt to locate the source or breeding area first before applying any treatments. Pigeons were introduced to Australia by the early European settlers and since then, they have rapidly increased in number due to the easy-to-access nesting places and abundant supply of food and water. They mostly feed on seeds and grain, fruits, small insects, vegetable matter, and some garbage and grit. Pigeons tend to feed, nest and roost in the same places (why homing pigeons where used as message carriers during the old days), breed all year round, and do not migrate far from their birthplace; this makes their removal a bit difficult. In city areas they feed, fly and roost by the hundreds. Their droppings can deface buildings and statues, and can be a nuisance to some motor vehicle owners. They are also carriers of many diseases, some of which are virulent, including pigeon ornithosis, encephalitis, and aspergilloses. 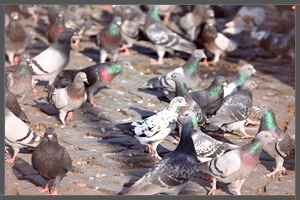 The most effective way to deter pigeons from invading houses and public areas is to stop feeding them and to remove any potential food sources in open areas such as pet food. Pigeon-proofing buildings can also help in preventing these birds from gaining access to potential roosting and nesting areas. Possums are marsupials and are natives of Australia, Sulawesi and New Guinea. They have also been introduced into New Zealand and China. Possums are nocturnal and generally like to live in areas with trees, as they are part arboreal. Their numerous species inhabit most vegetated environments and a number of them have adjusted well to living in an urban setting. 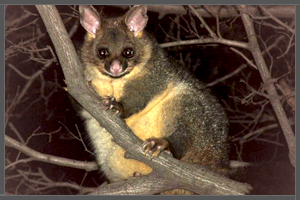 As suburbia encroaches on their traditional habitats, common possum species in Australia, most notably the common brushtail possum and the mountain brushtail possum, have adapted to living in a constructed suburban landscape. In Brisbane, possums are regularly found taking up residence in house roofs and other areas where they feel safe to sleep during the day. Often they can be hard to remove and keep out once their entry points have been discovered. Legislation against the relocation of possums to far away areas means it it necessary to seal off entry points completely to keep possums out once they have take up residence. For more information on specific types of possums found around the Brisbane area and throughout the rest of Australia, click here. The Common Paper Lice or Booklice (Psocoptera). Also known as paper lice or booklice, are small, soft-bodied, usually wingless insects that feed on mould, mildew and other starchy foods. They thrive in dusty, damp and warm places, and are usually found in areas where there is a lot of papers such as libraries and bookstores. They can also be found on damp basements, plant-based furniture stuffings, wallpapers, and leaky and sweaty plumbings. Paper lice do no direct harm to human but they do significant damage to paper-based items and property. They multiply quickly so it is important that eradication methods are applied properly, otherwise the infestation will persist. Paper lice are tiny, measuring between 1mm and 2mm in length, and some species are wingless and due to this they are often confused with bedbug nymphs. While the majority of these lice are woodland insects that do not affect humans, the species that do have the propensity to invade urban dwellings need to be controlled or their populations can get out of hand. Currently, there are more than 60 rat species in Australia, but there are two species that are causing concern in the country: the Black Rat (roof rat) and the Brown Rat (common rat). The brown rat has a more blunt nose, smaller ears, but thicker body than the black rat. Both species reproduce rather quickly, reaching sexual maturity 10 – 12 weeks after birth. The black rat (the culprit of the London Bubonic Plague of 1665) is usually found in degraded areas. 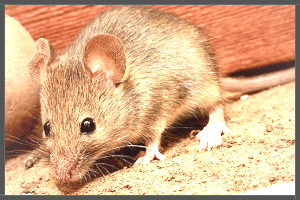 These are the rodents commonly found in cities and towns, and are the ones infesting houses, sheds, and storages. Aside from the stinky smell and damage to properties, brown and black rats can also carry serious diseases like leptospirosis and typhus fever, carry ticks and fleas that can infect both animals and humans, and contaminate food with their hair, feces, and urine, which can result in food poisoning. 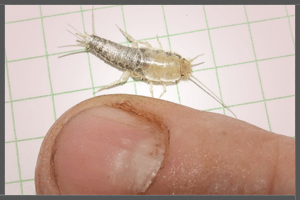 Silverfish are small, wingless insect and the majority of species are covered in tiny scales. In their natural habitat they live in soil, under rotting logs or bark and in leaf litter. They are nocturnal, so they rest during the day and go in hunt of food at night. They are omnivorous but prefer materials that are of vegetable origin. There are 5 different species of silverfish which are a problem in Australia. They infiltrate buildings, usually living in areas such as basements and attics, and feast on often causing noticeable damage to books, paper and clothing. Silverfish infestations while mostly occurring in residential areas, can also be a problem in office environments. Snakes are plentiful in Australia, where 20 of the 25 most deadly snakes in the entire world reside. In total there are over 140 species of land snakes here. Most snake species are not aggressive and are as keen to stay away from us as we are to stay away from them, however when they feel they are in danger or cornered all snakes, even the least aggressive ones, will strike out in defence. 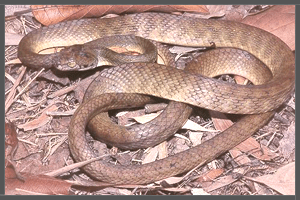 Snakes can be commonly found in rural areas where there is plenty of food and suitable habitat for them, however it is not uncommon to encounter snakes in suburban Australia, especially near forests, wetlands and bushlands. Having snakes around your property can be dangerous for obvious reasons, especially if you have young children around. Should you encounter a snake on your property or in your home, call someone who is trained in their handling to attend to the scene as soon as possible to catch the snake the take it somewhere more suitable. Almost all spiders have venom because they need it to subdue their prey (normally small insects). While many spider bites can’t penetrate human skin, those that can are painful and, in rare cases, fatal. Australia is home to over 10,000 spider species so it’s not surprising that these arachnids are some of the most common pests in our homes. 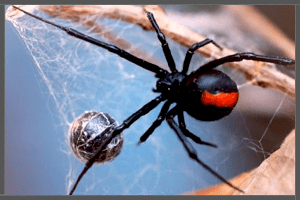 Some of the world’s most dangerous spiders live here – the Sydney funnel-web and the red back spiders – which are both easily identifiable. Funnel-web spiders, which is known to contain in its venom one of the most dangerous toxins in the animal kingdom, can be easily identified by their glossy, blue and black carapace and the finger-like spinnerets at the end of their abdomen. The funnel-web’s fast-acting venom generally only affects primates, so at least your pets are safe from them. The red back spider, on the other hand, can be distinguished by the prominent red stripe that runs through its abdomen. Majority of serious spider bites in Australia are attributed to female redbacks (the male’s short fangs can’t penetrate the human skin). But thanks to the introduction of an anti venom in 1956, no recent human deaths have been reported. If your home is infested by spiders, it is smart to have a pest control professional do a thorough inspection of your property rather than doing a DIY eradication method yourself. 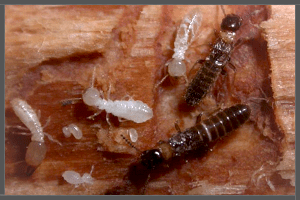 Out of over 300 species of termite species in Australia, only a few species are causing much concern to humans, including the Giant termite, the Dry-wood termite, Dampwood termite, the Rhinotermitidae, and the Termitidae. 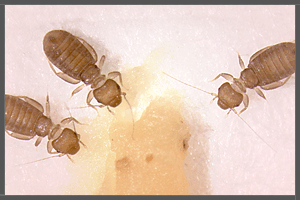 However, the most destructive termite species in Australia is the Captotermes acinaciformes. This species can be found throughout the continent, nesting on living trees, tree stumps, as well as on spaces on walls and floors of buildings. Occasionally, you’ll see mud tunnels, but most of the time, termites are good at covering their tracks so they aren’t easy to spot. If you suspect that termites are invading your home, have a professional do a termite inspection and eradication if necessary. Do-it-yourself termite controls is not a good idea as proper identification of termites is a crucial step in successfully eradicating them. 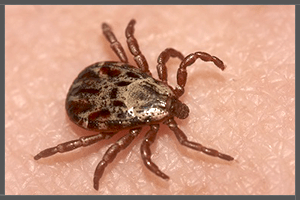 Ticks are small parasites that feed on blood of vertebrates, attaching to their host and feeding slowly. They can go unnoticed for several days while feeding, as a result they become effective transmitter of a wide variety of pathogens in blood. Some human diseases transmitted by ticks include Rocky Mountain spotted fever and Lyme disease. Ticks are divided into two families: the hard ticks and the soft ticks. Hard ticks have shields on their backs and their heads are more tapered. Soft ticks have blunt heads and look like pieces of debris. Ticks can be carried inside homes by infected pets, or by hitchhiking on people or clothing. Ticks lay thousand of eggs and then die. It is important that tick infestation is properly treated, otherwise they will just persist. Timber decay happens when certain species of fungi attack the insides of the wood. The fungus can lie dormant within the timber for years and becomes active when the right conditions present themselves. Timber decay fungi can destroy the structure of any building if left untreated. Since timber decay fungi live inside the wood, there’s really no way you can identify them early on. Usually, the only time you’ll probably suspect of any infestation is when you notice some structural weaknesses in your home, such as weakened floorboards, corrupted floors, and damaged windowsills. 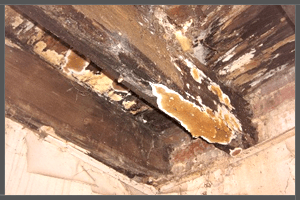 Fungal infestation treatment is a bit technical and should be handled by professionals. The Australian Brush-turkey, commonly referred to as a scrub turkey or a bush turkey, is a common pest in suburban Australian gardens. They can be found across a large proportion of Eastern Australia from Far Northern Queensland to several hundred kilometers south of Sydney, New South Wales. 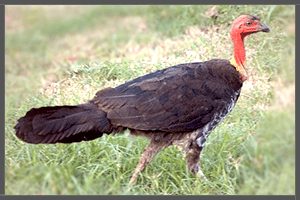 These turkeys thrive in rainforest regions but can also be commonly found in drier scrub forests. As Australia’s suburban sprawl encroaches on their habitat, more and more turkeys are invading people’s gardens and vegetable patches. Bush turkeys survive on a diet of seeds, fallen fruit and insects. They can also sometime be found eating fruit still on trees which they are able to access via their limited flying capabilities. Brush turkeys can be a pest because they often damage the ground when scratching up leaves searching for food or while building a nest. They can also cause extensive damage to vegetable and food growing areas when scavenging for a meal. Wasps are large insects with a narrow waist, and an abdomen that narrows toward then end (where the stinger is). Australia is home to a number of wasp species, but the three main species include: paper wasps, mud-dauber wasps, and European wasps. Paper wasps are present all year round but become more active during Spring season. European wasps can only be found on areas with temperate climates like Victoria, Southern NSW, South Australia, and Tasmania. 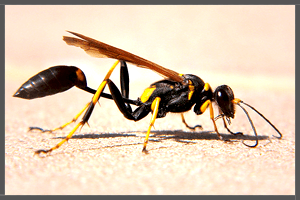 The most common sign of wasp infestation is the presence of a nest on the eaves of homes or hanging on plant and trees. If you see wasps flying around, there’s probably a nest nearby as wasps only travel about 50 – 250 meters from their nest. If you want to get rid of a single wasp flying about, aerosol is a good option. Make sure you give it a good spray and leave the area as they turn on their attack-mode when sprayed. 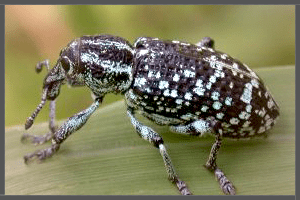 A weevil is a type of beetle that feed on plants, especially grains. Weevil larvae are often found in packaged flours, cornmeals, cereals, and even dog food. These larvae don’t make their way into the sealed food packages; they were already in the food as eggs before the packaging process. Although weevils do no harm to humans or animals, even when ingested, they are a headache to food producers. Weevil infestation, which can occur any time of the season, can retard the growth of crops or kill off the plant completely. We offer free service periods on all our work. 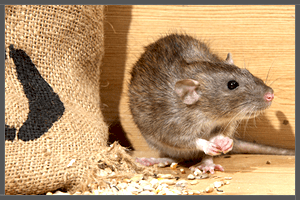 Get a Pest Control Quote Instantly!